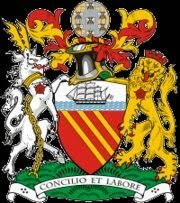 Before name club is Manchester United Football Club, a team is still Newton Heath, Jersey were green-yellow. In 1902, in connection with the change of name to Manchester United, the club change their uniform colors to red (shirt), white (pants) and black (socks), which became the standard Jersey Man United until recently. Exceptions, when the team competes in the 1909 FA Cup Final against Bristol City, the red-necked white shirt V-shaped This uniform design re-use during the 1920s, when uniforms are red-red team. Costume away games is usually a white shirt, black pants and white socks, and equipment has also been used in other colors, including blue-white striped shirt used from 1903 to 1916, wholly black in 1994 and 2003 and a blue shirt with a silver horizontal lines in 2000. One of the most famous, used only briefly, the costume away United's overall gray color used in the 1995-96 season. Manchester United away uniform is another famous white shirt with black sleeves and gold-black line. This is the last uniform designed Umbro before Man Utd selecting manufacturers Nike, and commemorate 100 years of change of name from Newton Heath became Manchester United FC. Manchester United's third costume is blue, which bears the players while winning the 1968 Champions Cup. Exceptions, bright yellow costumes used in the early 1970s, striped blue and white uniform used in 1996, and red-striped white shirt and black used in 2004. Manchester United also uses a third costume for the exercise. Man United adopted the color black costume on the entire 1998-99 season and a dark blue shirt with maroon edge in 2001 to play against Southampton and PSV Eindhoven. Manchester United's emblem has been replaced several times, but the changes made are not too significant. Satan's lies at the root of the symbol medially nicknamed "Red Devil" (The Red Devils), which emerged in the 1960s after Matt Busby heard it from fans Salford rugby team. In the late '60s, the devil started Had to Be Included on the club Programmes and scarves, a symbol of evil before it is inserted into the symbol of the club, holding a trident. 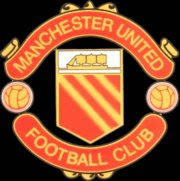 In 1998, the logo was redesigned again, this time removing the words "Football Club." This change is contrary to the opinions of supporters, who see that the Manchester United is only for business purposes only.